As many of you know Shiloh Farms has been diligently contacting bloggers for gluten-free recipes. 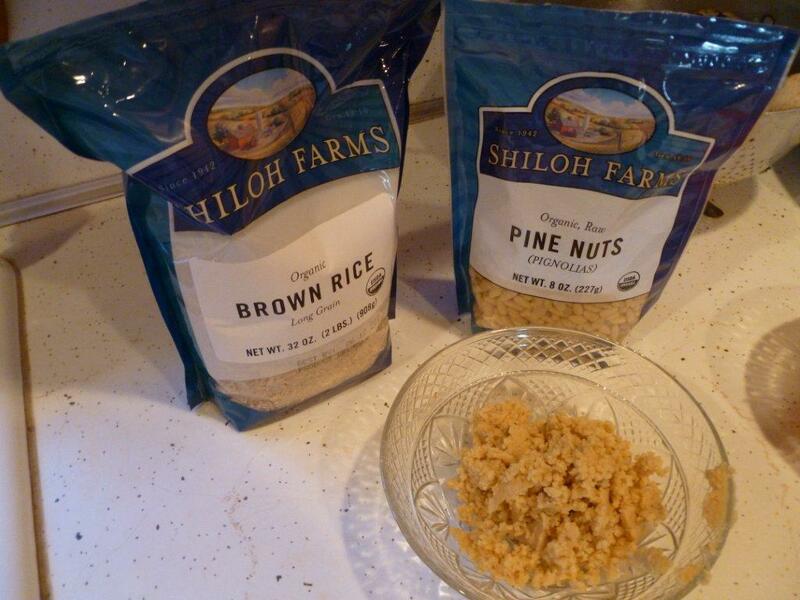 Today, we had the privilege of taste testing one of the many recipes submitted by various bloggers, which included Shiloh Farms Pine Nuts and Long Grain Brown Rice. 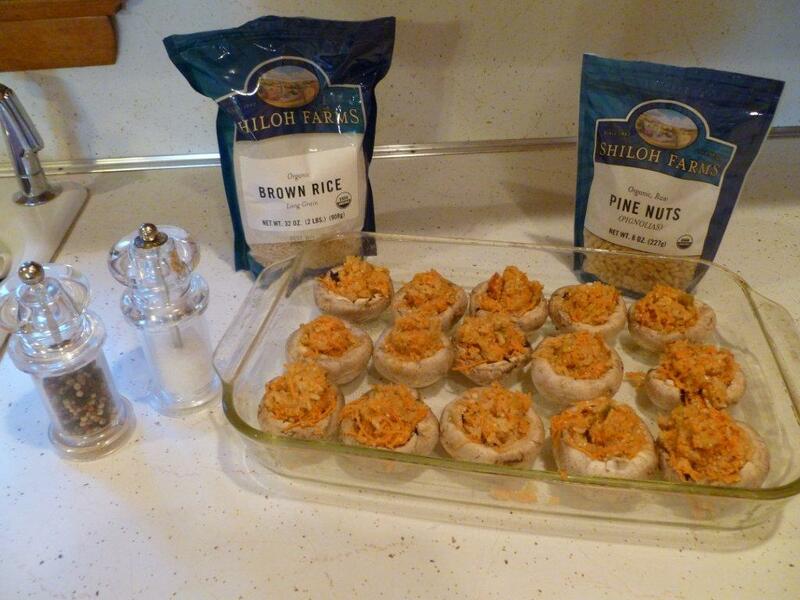 The Gluten Free Pine Nut Stuffed Mushrooms recipe was submitted to us by Amie Valpone. Amie HC, AADP is a Manhattan based Personal Chef, Culinary Nutritionist, Professional Recipe Developer and Food Writer. Visit her blog, The Healthy Apple. 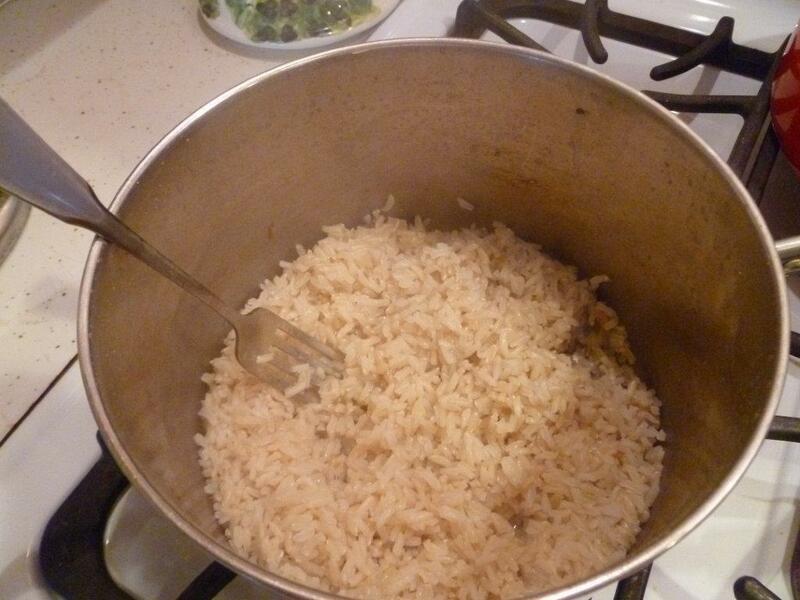 Linda, our Human Resources Director, volunteered to prepare this recipe and share with the team. 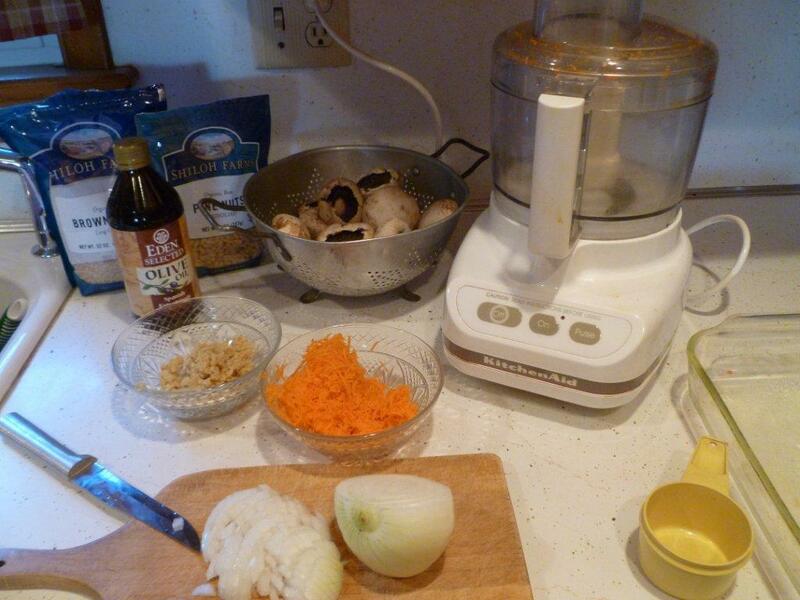 Below you will see her photos of the process and Amie’s recipe for Gluten Free Pine Nut Stuffed Mushrooms. It was a unanimous vote…these are delicious!! Clean mushrooms and remove stems. Set mushroom caps aside; discard stems. 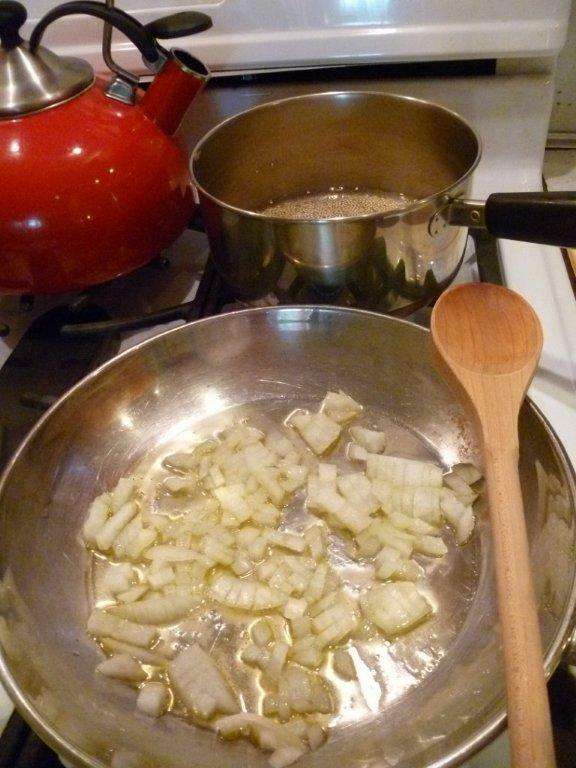 In a small skillet over medium heat, cook onion in olive oil until translucent, approximately 6 minutes. 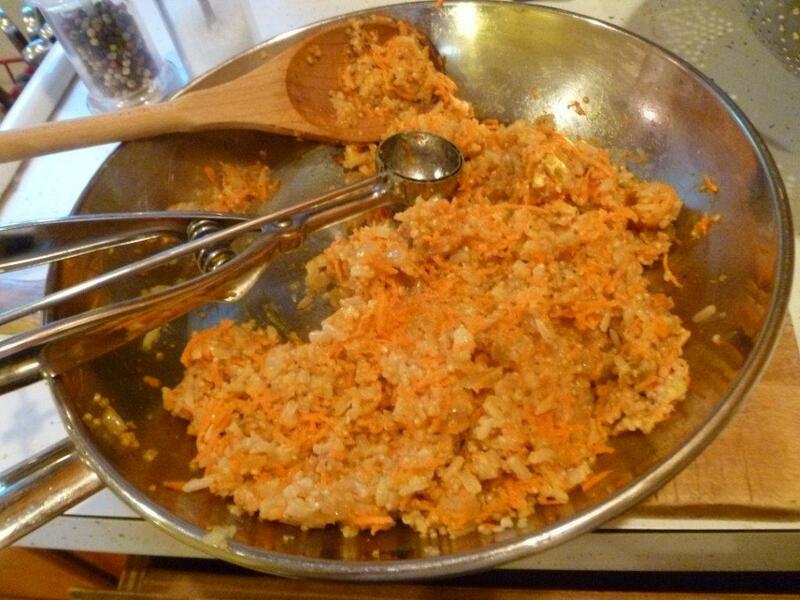 Add cooked brown rice, quinoa, carrots, pine nuts, salsa, sea salt and pepper; cook until warm, approximately 3-4 minutes. Remove from heat. 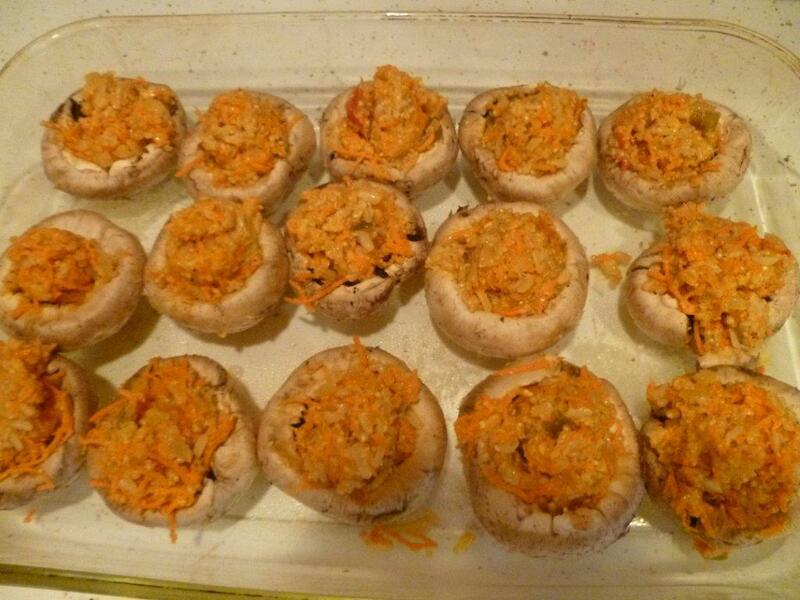 Place stuffed mushrooms in a single layer on prepared baking dish. Bake, uncovered for 15 minutes. Remove from the oven; garnish with fresh chives. *This recipes was developed by Amie Valpone. Amie HC, AADP is a Manhattan based Personal Chef, Culinary Nutritionist, Professional Recipe Developer and Food Writer. Visit her blog, The Healthy Apple.